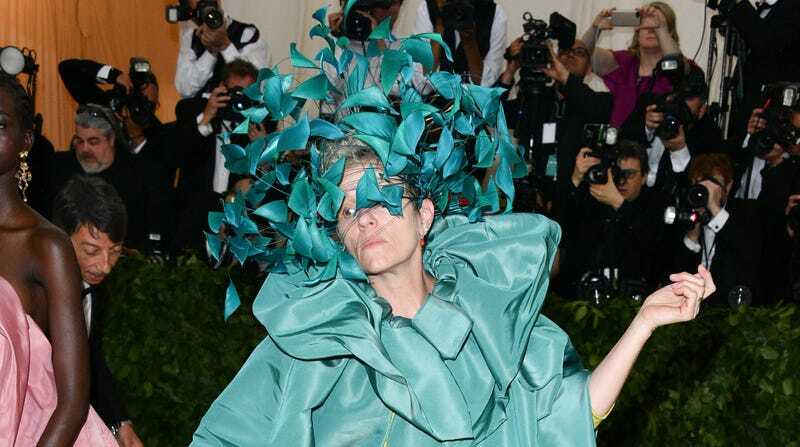 McDormand, looking suitably ineffable at a Met gala earlier this year. We knew God would be a woman. We were talking about great American actresses, because we wanted her to have an American voice. And out the blue one day I got an email from Frances McDormand asking to borrow my house in Scotland. And while we have to assume that most big Hollywood jobs do not come about because Frances McDormand wants to randomly borrow people’s houses, it does seem like a good stroke of luck for the series, which will also star folks like Miranda Richardson, Jon Hamm, Nick Offerman, and Michael Sheen and David Tennant as bickering angel-demon pairing Aziraphale and Crowley.